I, one Henryk Stanislaw Wyrzykowski, Head Clerk of Closed Files, a department of one, work . . . in a forgotten well of ghostly sighs This astonishing novel in verse tells the story of Henryk Wyrzykowski, a drifting, haunted young man hiding from the Vietnam War in the basement of a San Francisco welfare building and translating his mother s diaries. The diaries concern the Jedwabne massacre, an event that took place in German-occupied Poland in 1941. Wildly inventive, dark, beautiful, and unrelenting, The Wherewithal is a meditation on the nature of evil and the destruction of war. 1968 finds Henryk Stanislaw Wyrzykowski hiding out as a clerk in the basement of a San Francisco welfare office. Secure in his clandestine sanctuary, Henryk spends his days filing paperwork and translating his mother’s diaries while dodging Uncle Sam and the horrors of service in Vietnam. What unfolds is an increasingly disordered and bizarrely attractive illustration of personal delirium and the human condition. The parallel story lines - the mental deterioration Henryk suffers in his solitary existence and that recognized in his mother’s memories of the Jedwabne pogrom – struck me in a way that is difficult to describe. 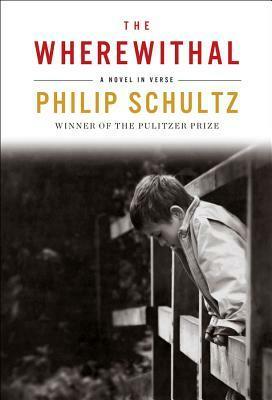 The delusions these characters construct within the confines of their minds are powerful and somewhat disturbing, but they take on an almost hallucinogenic quality, offered as they are in Schultz’s disordered and haunting prose. A deliciously dark commentary, The Wherewithal is an extraordinary allegory that deftly elucidates the nature of evil, the impact of war, the power of the human mind and the unsettling idea that we are each our own devil and we make this world our hell. The unspeakable things we do, the vicious lies we tell ourselves and others, the innocence we beat to death with and without shame, is always there in the smallest gestures of our eyes and hands and tongues. There the only wealth and meaning we possess, the fragile filament of our humanity, which perhaps is what we envy and suspect and fear and want to kill in others.